Co-produced by: Cobra Films - ARTE France Cinéma – RTBF with the participation of CANAL +, l'U.E. and l'A.I.F. This documentary follows Mahaleo, a group of 7 musicians who form the most famous band in Madagascar. Their songs were influential during the 1972 protests in Madagascar, which led to the collapse of its neo-colonialist regime. Their name in Malagasy translates to being free, independent and self-sufficient, and this is the definition of what the band stands for. The band has had a long and successful career spanning over 30 years, but despite their accomplishments, they do not delve into show business. Rather, they decided to focus their efforts into having professions that help the country, such as being surgeons, family doctors, sociologists, lawyers and even a member of parliament. Through following the stories of their daily lives, Rajaonarivelo and Paes paints a more intimate picture of Madagascar, a long way away from the tourist image of its sandy beaches. The film questions the role artists play in the development of emerging markets, the relationship between the north and the south, sustainable development and addresses Madagascar’s struggle to acquire water. Accompanied by music from the band, this film provides a glimpse into the real Madagascar and the struggles it faces at a critical point in its history, and it is a film not to be missed. “Mahaleo – Critiques Spectateurs.” AlloCine, 2005, http://www.allocine.fr/film/fichefilm-59422/critiques/spectateurs/. Accessed 29 March 2018. AfriCultures. “Mahaleo The Movie – Mahaleo Le Film.” Mahaleo, http://www.mahaleo.com/en/presse.htm. Accessed 30 March 2018. Andriamoratsiresy, Baholy. “Mahaleo, de Raymond Rajaonarivelo et César Paes.” Africine, 30 April 2009, http://www.africine.org/?menu=art&no=8625. Accessed 1 April 2018. D’Ersu, Laurent. “Découvrir Madagascar par la poésie de ses chansons.” La Croix, 16 March 2005, https://www.la-croix.com/Archives/2005-03-16/Decouvrir-Madagascar-par-la-poesie-de-ses-chansons-_NP_-2005-03-16-231700. Accessed 30 March 2018. Koziol, Liliane C.. “Mahaleo.” California Newsreel, http://newsreel.org/video/MAHALEO. Accessed 1 April 2018. Le Figaro. 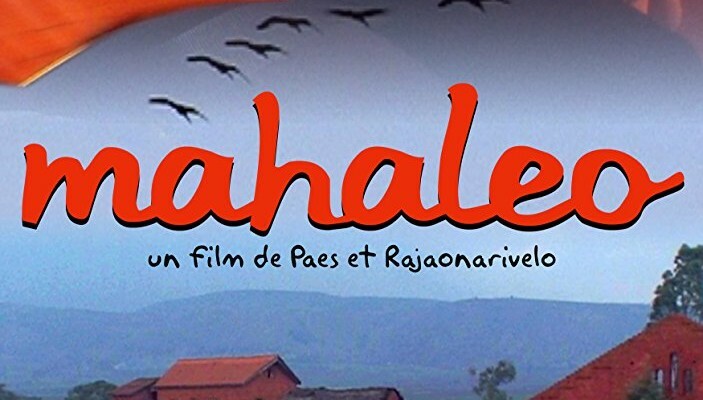 “Mahaleo The Movie – Mahaleo Le Film.” Mahaleo, http://www.mahaleo.com/en/presse.htm. Accessed 30 March 2018. Le Monde. “Mahaleo.” California Newsreel, http://newsreel.org/video/MAHALEO. Accessed 1 April 2018. Liberation. “Mahaleo.” California Newsreel, http://newsreel.org/video/MAHALEO. Accessed 1 April 2018. Variety. “Mahaleo The Movie – Mahaleo Le Film.” Mahaleo, http://www.mahaleo.com/en/presse.htm. Accessed 30 March 2018. Variety. “Mahaleo.” California Newsreel, http://newsreel.org/video/MAHALEO. Accessed 1 April 2018. Wilmington, Michael. “Mahaleo The Movie – Mahaleo Le Film.” Mahaleo, http://www.mahaleo.com/en/presse.htm. Accessed 30 March 2018. Fournet-Guérin, Catherine. “Une géographie musicale et cinématographique de Madagascar: regards géographiques sur le film Mahaleo.” Les Cahiers d’Outre-Mer, no. 233, 2006, pp. 77-94. OpenEdition, http://journals.openedition.org/com/195. Accessed 2 April 2018. Kiwan, Nadia, and Ulrike Hanna Meinhof. Cultural Globalization and Music: African Artists in Transnational Networks. Springer, 2011.